Written by Staff Writer on 16 December 2015 . NCRI – The state-run Fars News Agency reported on Wednesday that Qassem Soleimani, the commander of the Iranian regime’s terrorist Quds Force, last week “met with Russian President Vladimir Putin and senior military and security officials during a three day visit” to Russia in which he followed up on issues that had been discussed in the November meeting between the Russian President and Ali Khamenei, the regime’s Supreme Leader. The IRGC-affiliated Fars news agency is the only source to have published the report on the supposed meeting, but it has been forced to quote “unofficial sources” in order to distemper its bogus report. This is the second time in recent weeks that the mullahs’ regime has resorted to such half-hearted showmanship in order to cover up news of Soleimani’s injuries and to raise spirits among the regime’s forces. In the run-up to December 7, or ‘Student Day’ in Iran, the regime’s official news agencies including IRNA and Tasnim (affiliated to the Quds Force) had claimed that Soleimani would appear in the Student Day ceremony in the so-called Beheshti University in Tehran. But half-way through the event, it was ludicrously announced that Soleimani’s appearance had been cancelled. 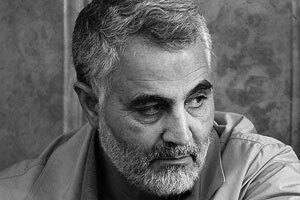 The National Council of Resistance of Iran disclosed on November 28 that based on information from within the IRGC, Qasem Soleimani had suffered severe shrapnel wounds in mid-November in the southern front of Aleppo. Suleimani’s vehicle, which was there for him to oversee an operation by the IRGC and a number of hired forces, was targeted by the Free Syrian Army, according to these reports. Based on the Iranian Resistance’s information, Soleimani was immediately transferred to Tehran, where he underwent two surgeries.